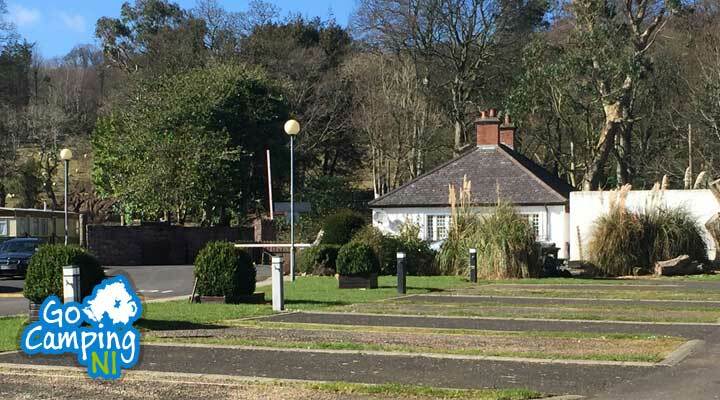 Situated in an attractive woodland location just a short stroll from the coast, Cushendun Caravan Park offers visitors a superb base to explore the beautiful area. 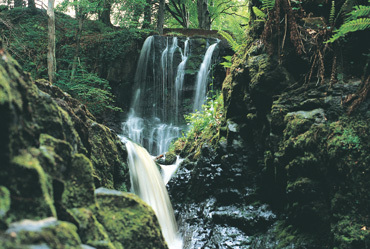 The park is just 5 minutes walk from the village centre. 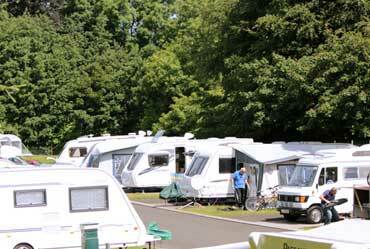 The park has 5 seasonal pitches and 7 short stay pitches, 4 of which are hard standing. It is strongly advised to book early for stays during bank holidays and throughout the summer months to avoid disappointment. Pets are welcome on the park, but not in the Glamping Cabins. Dating back to the 17th Century this annual fair in Ballycastle takes place on the last Monday and Tuesday in August each year. Read More. 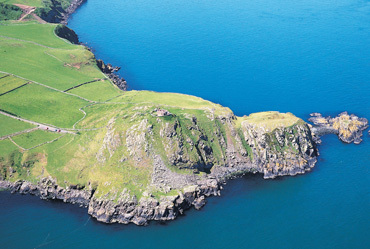 A headland streaching out to the Irish Sea, offering fantastic views of Antrim's dramatic coastline. Read More. Take the ferry from Ballycastle over to Irelands only inhabited off shore Island. Rathlin is home to Northern Irelands largest sea bird colony. Species include, Puffin, Gannet and Guillemot. Read More. Cushendun is a beautiful seaside village on the North Coast alive with small shops and pubs. A series of scenic paths wind through the village, beach front, harbour, and Glendun river. Read More. The walk is a coastal cliff path walk beginning at Shore Street, Cushendall, taking you to the ruins of Layd Church a a 13th century Franciscan foundation. Read More. A short circular walk through woodland and stunning gardens offering spectacular views. Read More. 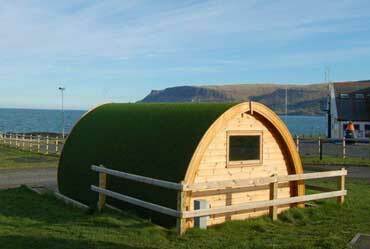 A leisurely walk takes you into the harbour town of Ballycastle where you will find many shops and restaurants. 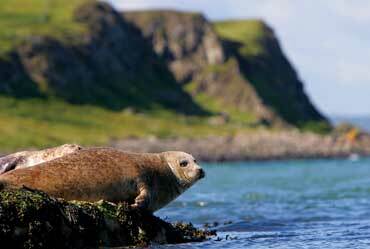 The Glens of Antrim lie to the East and the world famous Causeway coast lies to the West, making Ballycastle a perfect base to explore both of these incredibly beautiful regions. Read More. 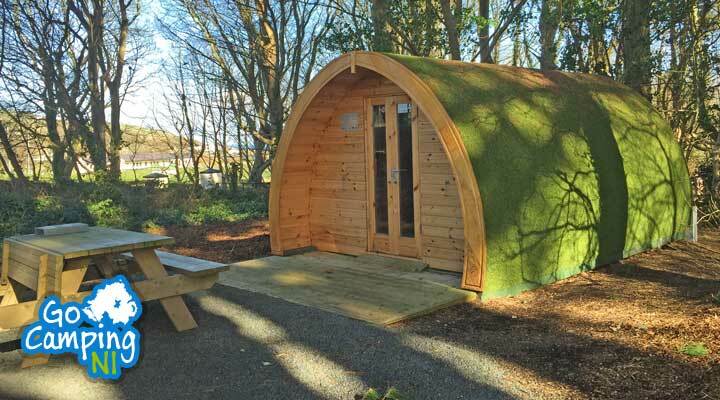 Located within a large 191 hectare country park, Carnfunnock Caravan Park sits on the spectacular Antrim coastline making it an ideal spot to set up base, while exploring the area. 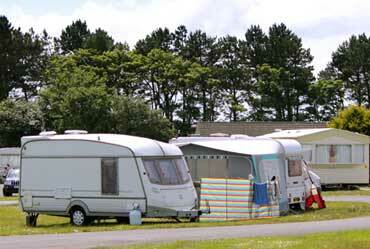 The caravan park has got plenty of onsite family activities and is surrounded by mature trees and manicured gardens. Read More.